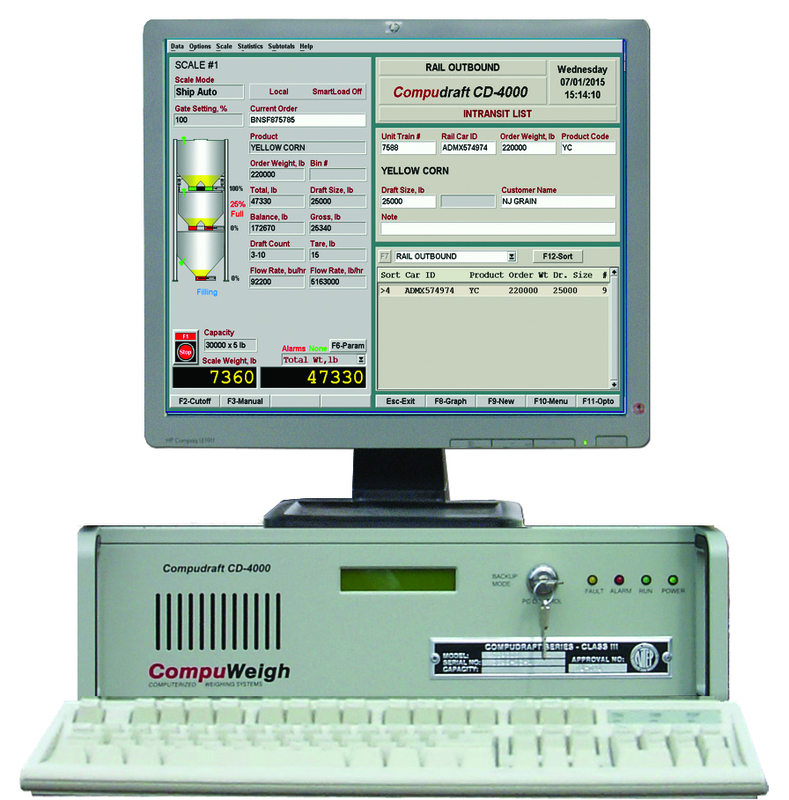 The CompuDraft series controllers are designed to handle all types of bulkweighing applications including inbound and outbound transactions for truck, rail, barge and ship. A Case Study on what it takes to make the highest speed, most accurate bulkweighing scale system. 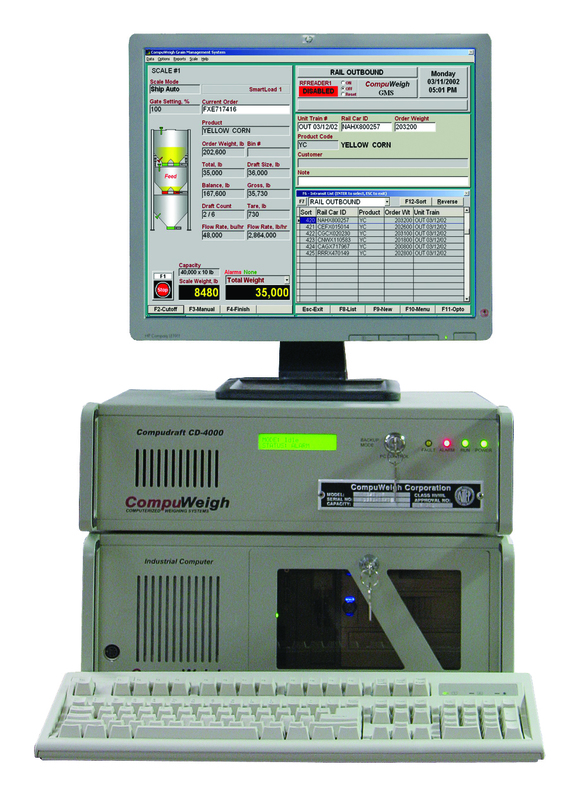 CompuWeigh’s Industrial CD-4000 Controller is a specially designed workhorse for harsh environments and is a part of the Compudraft Series of controllers that weigh over 60% of all the grain weighed in the U.S. The CD-4000 is the fastest controller on the market. This means you can do the work in less time by using fewer drafts. The CD-4000 calculates the flow rate 60 times a second and selects gate closing time to an accuracy of 1/10,000th of a second resulting in the ability to load within one bushel without any slowdown in speed. The top of the line bulk weighing controller with integration to all grain accounting systems and Smart Options. The low cost bulk and process weighing solution with the benefit of the most powerful and easy to use GMS user interface. Leverage your GMS system with state of the art modules that separate GMS for all the other systems.